The energy of the South area of any given space is relatively ‘used up’ or depleted since it has already travelled from the Northeast, East and Southeast of your space. It is now somewhat negative, but we can channel and use it in such a way to bring optimal benefits and positive results into our life. Passion, Determination, Endurance and Motivation. 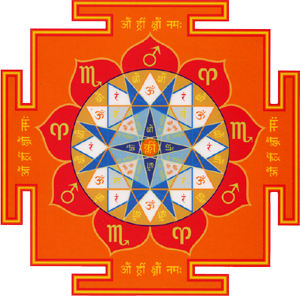 A Vastu pundit who knows the science of Vedic astrology and Vastu can show you the traits of your Mars planet positioned in your horoscope. Since Mars rules the South direction, they can work hand in hand. Chaos, Thoughtlessness and Impulsive behaviour and unnecessary Expenditure. To protect against financial losses due to chaos and impulsive behaviour you can make this space “heavy” through the use of large heavy furniture, large terracotta potted plants with sizeable leaves to capture the peak of the daytime sun rays from the South of your some. Generally large windows and entrances are not recommended in the South, if you have these here you can use heavy curtains to minimise the negative effect of large windows, and external doors may be painted red. A few red coloured items; for example cushions or a rug, throws or decor will help strengthen your Mars. However there is one point in the south where you can have an entrance, window or mirrors. This is where the energy of prosperity enters your premises and can be easily deciphered in a Vastu floor plan of your building. This area should be preferably without any body of water. Earth and Fire elements do well here like electric installations, fireplaces or heavy storage. There should be no down hill slope towards the South but rather the plot of land should be higher than the North, Northeast and East. Failing all else, and you don’t have the South of your house with any of the positive Vastu traits mentioned above, then fear not. We all have to start somewhere. ‘The journey of a 1000 steps begins with the first step’. That first step to your transformation is to ask for help from a power greater than ourselves. 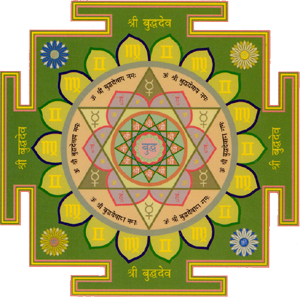 Install the South-Narasingha Yantra on the South direction compass point, where it enters wall of room, house, building or plot, and ask for protection from unnecessary expenditure and losses. Open yourself to becoming prosperous with fruitful investments. During mantra recital create the possibility of manifesting wealth and maintaining a continuous momentum. A Vastu pyramid is a powerful remedial tool for counteracting spatial defects and restoring balance and harmony especially if you are not able to make the vastu adjustments required immediately. This tool can be utilised to help us create our own personal transformation. The pyramid’s powerful effect will make positive subtle adjustments to the environment it is installed in. 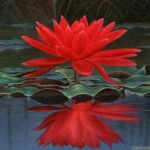 Since our space is a reflection of our own current karmic play out, we are treating the symptoms, whilst the mantras, affirmations and meditations gradually cure the ‘disease’.